In preparing The Utah Review’s third annual edition of the top 10 moments of the Utah Enlightenment, the writings of Wallace Stevens (1879-1955), the titan of American Modernist poetry, helped clarify how this spiritually abstracted movement of creative expression arising from Utah’s unique sense of place and meaning should be defined. Plainly, the artistic and creative works placed under the aegis of the Utah Enlightenment do more than the purpose of “art for art’s sake.” They elevate the contemporary experience – with the sum of its tensions, problems, conflicts, disappointments and crises – to an enthralling sensation of healing and empowerment. As Tim Buck noted in a 2014 post at the Spectral Lyre blog: ”Significant art transforms wishes and graves into a new, hybrid mode: a dynamics of quasi-religious abstraction.” This is acutely relevant to the Utah experience, where the year of 2017 brought forward an immense lot of many commendable works of creative entrepreneurship and profound artistry. And, it is in this vein, the following 10 examples stand out as the most definitive moments of the Utah Enlightenment this year. These moments are not presented in any ranked order. Among Sackerson’s 2017 slate of consistently outstanding productions of original plays and theatrical works that are rarely presented in the Intermountain West region, Morag Shepherd’s Do You Want To See Me Naked? stands out most prominently as a defining Utah Enlightenment moment. Premiered last summer at the Great Salt Lake Fringe Festival, the work earned several honors at the event and recently has been given several performances before the show will be produced at the upcoming Tucson Fringe Festival. Shepherd’s writing, rendered with exceptional impact by Elizabeth Golden and musical accompaniment by violinist Ysa Pitman, is incisive in “showcasing hugely rewarding comedic counterpoint about intimacy and exhibitionism,” as noted in a review published in August at The Utah Review. And, “its real genius is how it drives much deeper messages challenging not just modesty but also how religious and social conventions mercilessly leave many individuals so ambivalent, or even ashamed, and thoroughly disconnected from their bodies.” Shepherd also wrote Not One Drop, a play which premiered in a Plan-B Theatre production last spring. 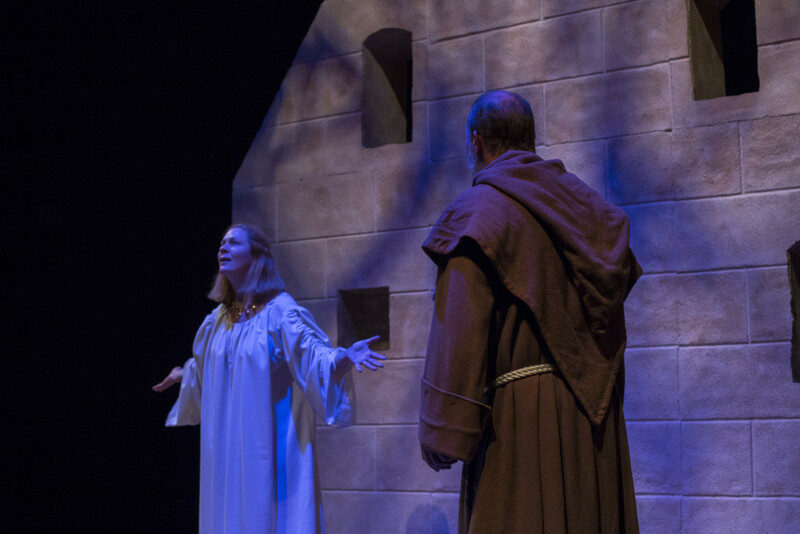 That work also displayed the playwright’s extraordinary skill at embracing “her own free voice in her own rebellion against the shallow interpretations passed off as solid gospels, doctrines and covenants,” as highlighted in a review of Not One Drop. As the NOVA Chamber Music Series marks its 40th anniversary season, audiences are observing the rigorous standards of musicianship in concerts featuring Utah performers that would be admired and respected in any major metropolitan market. One performance stands out as a definitive moment of the Utah Enlightenment: Concerto in D Major for violin, piano and string quartet, Op. 21, by Amédée-Ernest Chausson (1892), as performed by Madeline Adkins, concertmaster of the Utah Symphony and Jason Hardink, piano, and accompanied by the Fry Street Quartet, which is in a long-term artistic residency at Utah State University. It was in the slow movement (the third), which produced a sound truly of an other-worldly beauty – the most heartfelt poetry of music one could experience. That standard of musicianship likely will be enhanced in the future, as Adkins also becomes NOVA’s music director while Hardink takes on the role as artistic adviser. 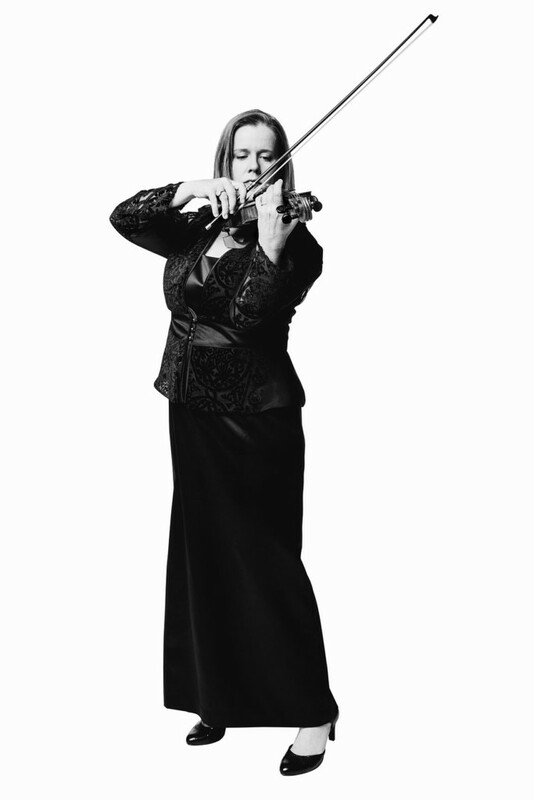 The innovative move in organizational structure is intended to add depth to NOVA’s unique programming model, especially in how it juxtaposes existing works in the chamber music series with new compositions. In February, there will be a performance of Michael Hersch’s recent chamber opera, On the Threshold of Winter, which NOVA is presenting as part of a week-long festival celebrating the composer’s work that involves various Salt Lake City music ensembles and organizations. Many significant moments of the Utah Enlightenment encompass more than a single performance or production run. 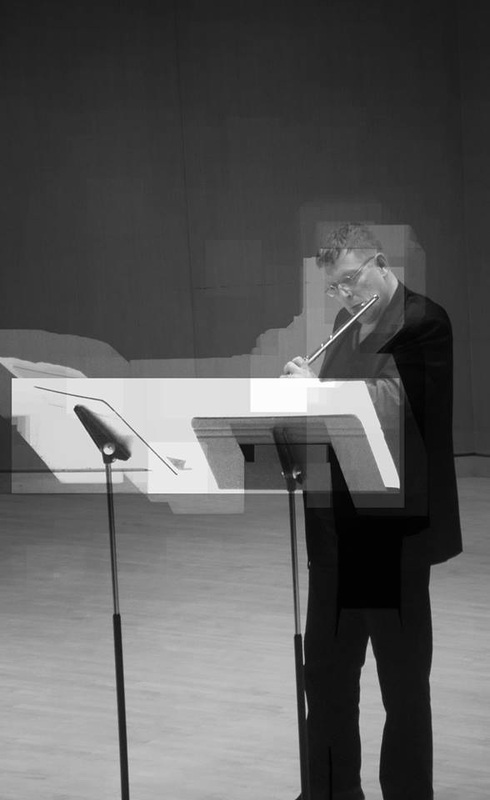 In the case of Carlton Vickers, flutist, 2017 represented another milestone in a lifelong project, which has earned him an international reputation for helping to redefine flute music in the 21st century. As The Utah Review summarized in a feature earlier this year: “Internationally known composers have written works for him that create a new palette of musical expression with unprecedented technical and intellectual capabilities. The list of international composers who have written or dedicated works for Vickers – Dominik Karski, Marc Yeats, Chris Dench, James Erber and Brian Ferneyhough, for example – are among the most important composers in the 21st century for how they are advancing musical notation, the potentials of musical expression and the technical demands for instrumentalists.” At a Dixie State University recital last October in the Delores Doré Eccles Fine Arts Center, Vickers performed several works, along with the premieres of Dench’s Geminy and The Unquenchable for amplified alto flute solo by Dominik Karski, an Australian composer of Polish descent. Chamberlain sets out his original interpretation of the colors, elements and forms of the Utah high desert that like another great artist of the desert, Georgia O’Keeffe, moves and morphs continuously between the realms of abstraction and realism. One prominent example is in the current Statewide Annual competitive exhibition, coordinated by the Utah Division of Arts and Museums, where one of his works is on display at the Rio Gallery in downtown Salt Lake City. The oil painting selected for the show is from his Bird of Prey series. He creates work to translate personally his experience of witnessing the continuous flow and metamorphosis of the desert’s unique process of geological time and its elements — junipers, a kit fox skeleton, for example – not particularly as a snapshot moment but instead as one of nature’s multilayered, multifaceted processes, rendered on a two-dimensional canvas. Chamberlain’s work is becoming more visible, with two exhibitions this year at the Springville Museum of Art, the Eccles Community Art Center, Logan Fine Arts Gallery and a solo show at Sundance Studio in 2016. 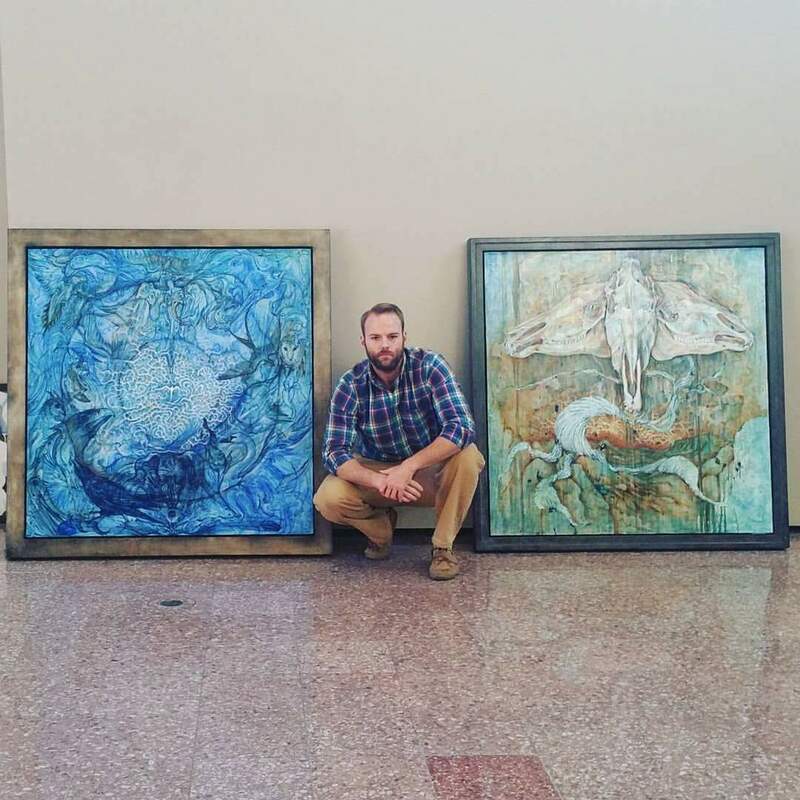 He also was one of the artists selected last year for the Finch Lane Gallery’s Artists of Utah 35×35 Exhibition. Two young student artists from Provo High School are the youngest of this year’s selection of the top Utah Enlightenment moments. Rebekah Campbell and Liliana Briem earned jury awards in the 2016 and 2017 Utah All-State High School Art Show, which champions the work of juniors and seniors, as selected by a professional jury. Their artistic development has been nurtured wisely by their teacher James Rees, who is considered one of the most skilled and successful art instructors in any Utah high school. Rees, who also is vice president elect for the Pacific region of the National Art Education Association, mentored six students whose works were selected this year for the all-state show. 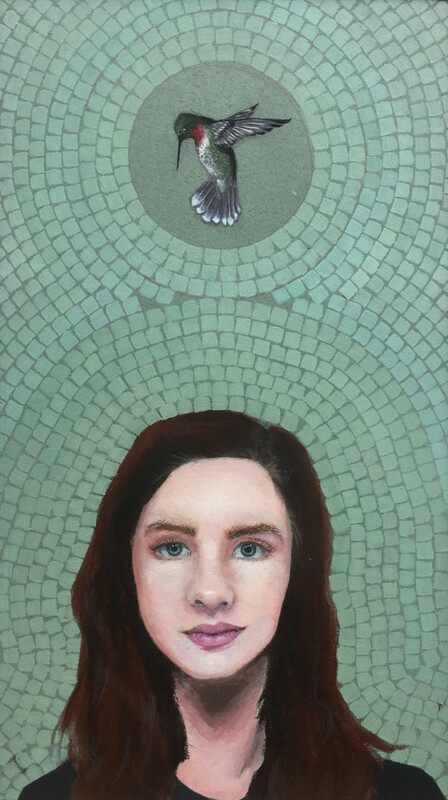 Campbell’s work Transend, done in acrylic on paper with subdued jade-like hues as the background and which included a hummingbird, signified her decision at the end of her sophomore year to pursue art in college and as a career. 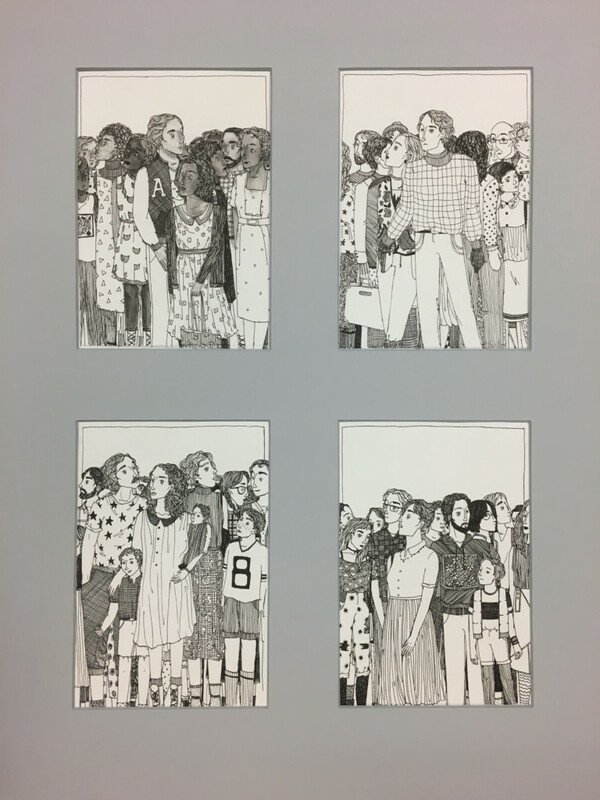 Briem’s pen-and-ink work titled Alone in A Crowd comprised four monochromatic images of groups of people. It was a compelling visualization of the interactive social dynamics, differences and tensions that shape variously an individual’s relationship with the larger crowd of a community. Three of this year’s top Utah Enlightenment moments are reserved for individual works or concerts by three outstanding Utah dance institutions. In Salt Lake City, dance is the prized luminescent gem in the crown of performing arts excellence. And, it is not merely a local assertion. In a 1975 feature published in The New York Times, Carol Sorgen Mazer wrote: “Salt Lake City, the state capital, is the only city in the country outside of New York to have year-round, nationally recognized, professional companies for both ballet and modern dance.” Choreographers with solid reputations on the national and international levels regularly come to Salt Lake City, collaborating with dance companies to set new works that demonstrate the dance art’s facility in telling substantive stories through many movement languages and vocabularies. Zvi Gotheiner, Dancing The Bears Ears. Repertory Dance Theatre. Photo Credit: Sharon Kain. The dancers and Gotheiner, who directs the internationally acclaimed ZviDance company in New York City and has a working relationship with RDT spanning a quarter of a century, were “changed,” in the words of Linda Smith, RDT’s artistic director, by the whole creative process that started with an expedition last spring to areas of the Bears Ears National Monument. Raja Feather Kelly, Pantheon. Ririe-Woodbury Dance Company. Photo: Stuart Ruckman. 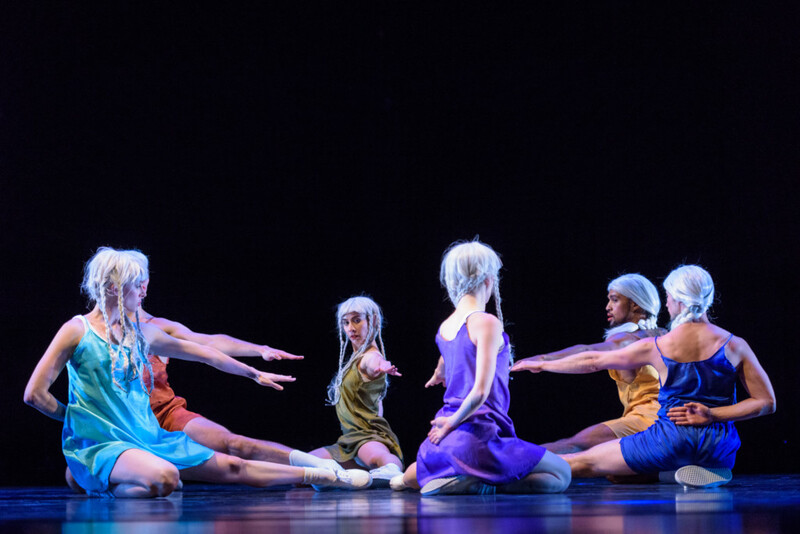 Pantheon, which was funded in part by a grant from the Princess Grace Foundation-USA, also highlighted Ririe-Woodbury Dance Company’s interests in pushing dance’s aesthetic philosophy through traditional boundaries and finding new ground in social and cultural contexts more readily accessible to audiences who come from many diverse backgrounds. Indeed, the Parallax concert brought forth a full spectrum of emotional sensations, from the deeply sensuous meditation on human connection and trust in Kate Weare’s Unstruck and the exhilarating tour de force of dance musical theater in Exilic Dances, a work created by Daniel Charon, Ririe-Woodbury’s artistic director. Last spring’s Chama concert kindled the usual choreographic blaze, metaphorically and literally, by which the group is known. 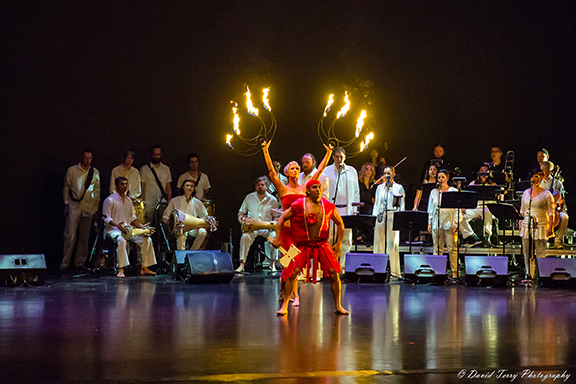 But, in addition to its fire-spinning elements, Samba Fogo’s audacious concert comprised new choreography along with three new musical compositions as well as original soundscapes, backed by a string quintet, horn line, and the largest drum corps it has ever featured in performance. But, it is the group’s deep commitment to finding the proper spiritual alignment in appropriating the culture that has sustained Samba Fogo’s presence as one of Salt Lake City’s dynamic dance institutions. The final selection for this year’s Top 10 Utah Enlightenment moment goes to Topher Horman, the curator of the annual Fear No Film program at the Utah Arts Festival. This year’s program of 69 short films was the 15th annual edition and it cemented its place as an international short film festival of distinction. There were 31 films from outside the United States, representing 21 countries. Four nations were represented for the first time: Cyprus, Egypt, Nepal and Romania. It is worth noting that Iran led the international component with four animated films, including three by women directors. Fear No Film is no minor feat in a state where Sundance and other major film institutions have such a strong presence. It presents a full slate of juried awards, a Utah Short Film of the Year competition and opportunities for awards, as determined by audience choice. More importantly, Horman’s approaches Fear No Film programming by relying on conceptual subcategories of a different major coalescing theme every year instead of a more conventional approach (such as style, genre or technique) in setting a film festival’s schedule. This unique perspective has brought forth many short films that otherwise might not be screened in Utah, including several that were presented for the first time in front of any American audience. And, it is one of the most easily accessible film festivals for people of all ages. Horman noted, for example, in this year’s annual award announcements the following: “I am thrilled and astounded by the audience reactions to this year’s slate of short films. Lengthy discussions among unrelated festivalgoers continued long after many screenings on topics ranging from the toll of Alzheimer’s disease, to modern romance, to improving dialogue between fathers and their teenage daughters.” At 15, Fear No Film has consolidated its place as an imperative institution in the Utah Enlightenment. do you want to see me naked? I traveled by car through this beautiful and graceful land, I was very upset that snake Orrin Hatch sold out to Trump and his cohorts. Please stop the destruction of Bears Ears.